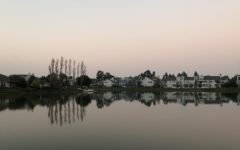 Smoke hovers over a Redwood Shores Lagoon. 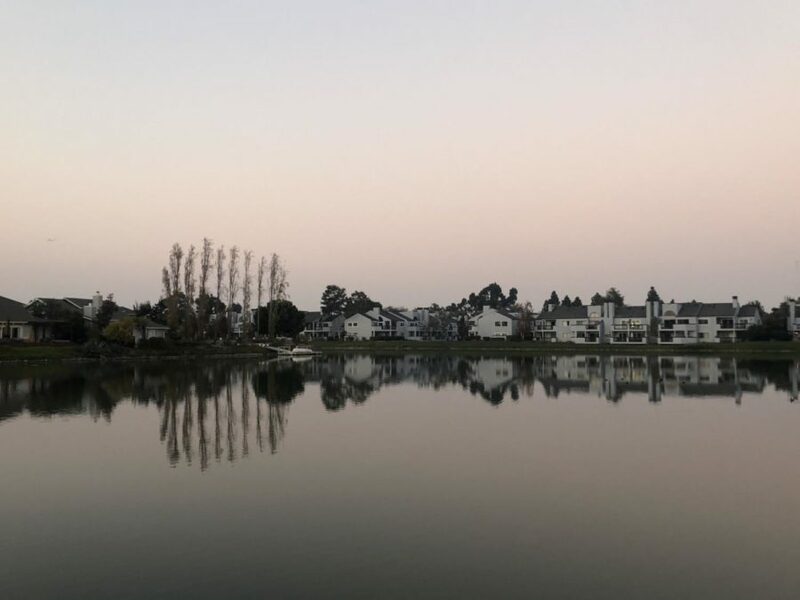 Because of the smoke, Carlmont High School was canceled for Friday, Nov. 16 and students, many of whom reside in Redwood Shores, were advised to stay home. 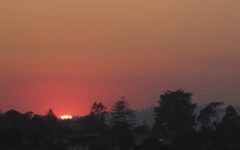 As the Air Quality Index (AQI) reached a high of 218 in San Carlos on Thursday night, schools decided to shut down for the safety of students and teachers. “The air quality is affecting our entire school district,” said Principal Ralph Crame. A discussion between the school principals and superintendents of the Sequoia Union High School District (SUHSD) concluded in canceling school on Friday, Nov. 16. Carlmont worked with the San Mateo County Office of Education (SMCOE) and the District Office to come to a decision. After communicating with air quality experts, the district decided to cancel school. 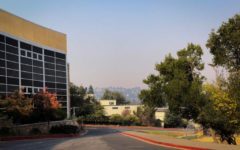 “We are working with San Mateo County Office of Education, as well as the District Office, who are monitoring and communicating with experts about air quality,” Crame said. Officials are also watching the levels to see any changes in the AQI. “We are constantly monitoring [the air quality] closely,” Crame said. On Thursday, Carlmont initiated a modified-shelter-in-place. It limited outdoor activities and canceled outdoor practices and games. “We’re limiting outdoor activity, P.E. classes are moving all activities inside the gym, and they’re limiting strenuous activity,” Crame said. Students were also asked to stay inside as much as possible during lunch and passing periods. “We’re also asking students to eat lunch inside, we’ve opened up the gym and student union,” Crame said. Superintendent Mary E. Streshly sent an email on Thursday evening to inform that school was being canceled. “I want to inform you that all schools and school district will be canceled tomorrow,” Streshly said. Instructional Vice Principal Jennifer Cho added further information about the coming week. “We plan to reopen the school Monday for regularly scheduled classes. We will continue to monitor the situation,” Cho said.